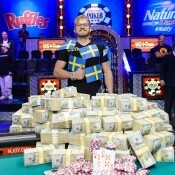 David Vamplew is 33.3% of the way to poker's Triple Crown. John Juanda had it in his grasp: an EPT title, two-thirds of poker’s elusive Triple CrownTM, but in the end, it wasn’t meant to be. Heads-up for the EPT London Main Event championship, Juanda was crushing David Vamplew. Eventually, Juanda had Vamplew all-in on the turn. Juanda was holding a broadway straight to Vamplew’s flush draw. The river produced the flush, and Juanda never really recovered, eventually going down to his we’ve-never-heard-of-him-before opponent. 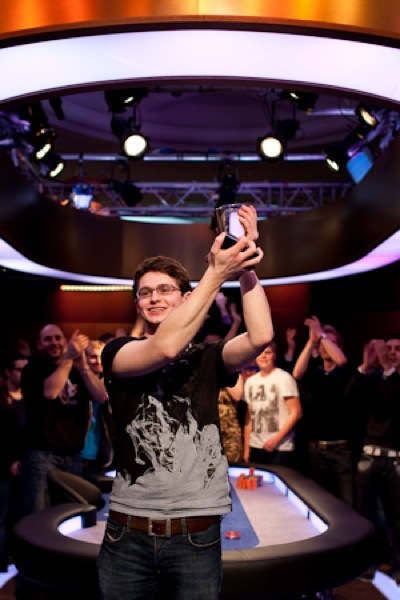 For the win, Vamplew banks £900,000, his first EPT title, and a claim to one-third of poker’s Triple Crown. Juanda takes £545,000 for second, and moves past Scotty Nguyen for fifth on poker’s career tournament money list. 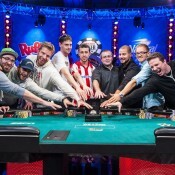 Get full final table results here and a recap of the tourney here. * Photo from Poker Stars Blog. I didn’t know Vanessa Selbst had a sister.